After his shock election win David Cameron promised to lead a government for 'One Nation'. The question is: how can he do that when his right-wing Thatcherite ideology is so divisive, and one large part of the UK - Scotland - has voted overwhelmingly for the pro-independence Scottish National Party? Cameron's pledge to 'bring the country together' might sound reassuring in the aftermath of an election in which crude anti-Scottish scaremongering was a key part of the Tory strategy, but like most of the Prime Minister's pronouncements, there's little of substance behind it. 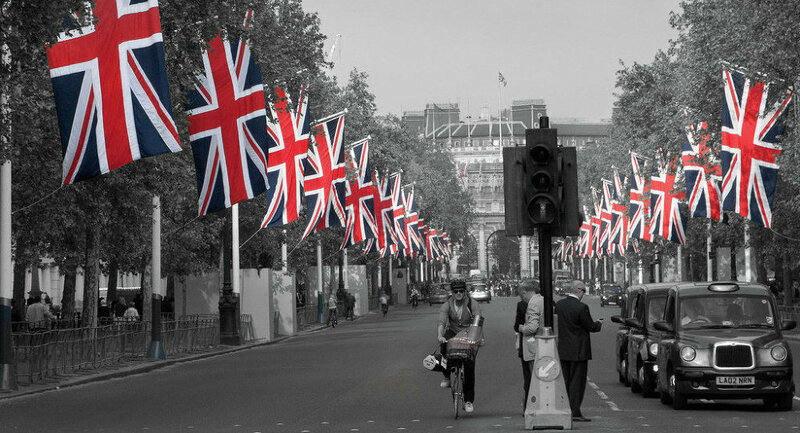 One nation, one United Kingdom — that is how I hope to govern if I am fortunate enough to continue as Prime Minister. Let's consider Scotland and the rise of the SNP. That can directly be linked to the end of the consensus-based 'One Nation' politics which Cameron claims to represent. The original 'One Nation' Tory was Benjamin Disraeli. A shrewd political operator, 'Dizzy', realised that the Conservatives needed to offer progressive social reforms in the late 1860s and 1870s, if they were to get the votes of the newly enfranchised. The real golden age of 'One Nation' Toryism was in the era following World War Two. The Conservative leadership accepted the progressive post-war settlement, which included large chunks of the British economy coming under public ownership, a steeply progressive taxation system, full employment, and a comprehensive 'cradle to the grave' welfare state. It's revealing to see how poorly the SNP did in this period when the 'centre' of British politics moved significantly to the left. In elections between 1945-1966 the party failed to win a single seat. Although there was an increase in SNP support in the 1970s (in October 1974 they got 11 seats) — they were back down to only two seats in 1979. However, as the post-war consensus broke down and the political 'centre' moved to the right, the dissatisfaction in Scotland with the Westminster parties grew. As I highlighted in an article at the time of the Scottish independence referendum last year — Thatcherism and its crude cult of the individual was hugely unpopular in Scotland — a part of the UK where collectivist ideas still remain strong. Scots were particularly incensed when the hated Poll Tax — a regressive Thatcherite tax — was imposed on them before it was introduced in other parts of the UK in 1989. The Tories won 36 seats in Scotland in 1955 when 'One Nation' Toryism was in operation, but that was down to 10 in 1987 when Thatcher was Prime Minister, and ten years later, they were wiped out completely north of the border. The Scots rejected Thatcherite Tories and they rejected Labour too when the party was outflanked on its left by the SNP. Understandably, many good socialists and genuine progressives north of the border, for example, the ex-Labour Minister Leslie Huckfield, have deserted Labour and expressed their support for the SNP and for Scottish independence. It might already be too late, but the only possible way now that the rise of the SNP can be countered is for the Conservatives to go back to the 'One Nation' policies of Harold Macmillan (Prime Minister from 1957-63), and for Labour to return to the left-wing, collectivist policies which the Scottish electorate clearly approve of. But in fact, the parties are likely to go in the opposite direction — making the break up of the UK more or less inevitable. "All his life, Macmillan retained a distrust of the City and 'banksters'." He claimed in 1936 that "Toryism has always been a form of paternal socialism," writes Ferdinand Mount. Cameron in sharp contrast, is in thrall to the City and 'banksters' — not surprising, seeing that almost half the funding for the Tories comes from the City. It's not just the neoliberal economic policies which the people in Scotland don't like about the 'Westminster consensus', it's the warmongering too. Anti-militarist sentiment is strong in Scotland, and, as Dan Glazebrook argued, the sizeable SNP vote was a vote against the neocon militarism which has taken Britain into US-led wars across the globe in recent years. The SNP, to their credit, are opposed to the renewal of Trident, Britain's so-called 'independent' nuclear deterrent — and reaped the electoral benefit. Revealingly, the only Labour MP left in Scotland after last week's SNP landslide is Ian Murray, who came out in opposition to the renewal of Trident. Neocon David Cameron is, of course, very pro-Trident and there's bound to be further friction with Scotland when the issue comes up again in Parliament. Trident's likely renewal, against the wishes of the people of Scotland, will only increase Scotland's desire for independence. There'll be anger too if Cameron tries again to take Britain into a war against the secular government of Syria — as he tried in the summer of 2013. Back then, all 6 SNP voted against it — the party now has 56 MPs. Cameron has ruled out a fresh referendum on Scotland's independence, but Alex Salmond, Scotland's former First Minister, and the newly elected MP for Gordon, has said that the election result is a 'staging post' to another referendum. With a hard-right government installed in Westminster taking us even further down the path first laid down by Margaret Thatcher thirty-six years ago, and Scotland having made quite clear last week that it doesn't want either neoliberal austerity or militarism, we've clearly got major divisions on our hands within the UK. Whether the solution of giving more powers to Scotland within a more federalised UK will be enough to keep the country together remains to be seen, but if we are to once again be 'One Nation', it's very hard to see us achieving it under David Cameron.